So, what’s new with Bonnie Bear? 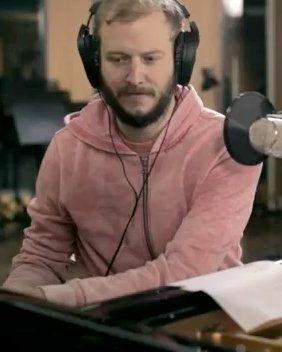 Would you believe that he has once again been holed up in a Midwestern venue drinking whiskey and recording new music? It is so! The details of his latest project come courtesy of the Minneapolis City Pages and local rapper Astronautalis, who has been in the studio with Justin Vernon since last Wednesday. They’ve formed a “pretty cool band” (not yet a supergroup, says Astronautalis, because “you should reserve supergroup qualifications for it until you decide if it’s super or not”) and, along with Gayngs producer Ryan Olson, have apparently recorded the better part of a new album at this point. “All of us are hell-bent on getting it out really quickly, and hopefully to find the time to play some shows for it as well,” Astro says. Also, if you’re curious how much booze it takes to record a mysterious indie-rap collaboration, it’s at least two bottles of Redbreast Irish whiskey and a bottle of Bushmills.